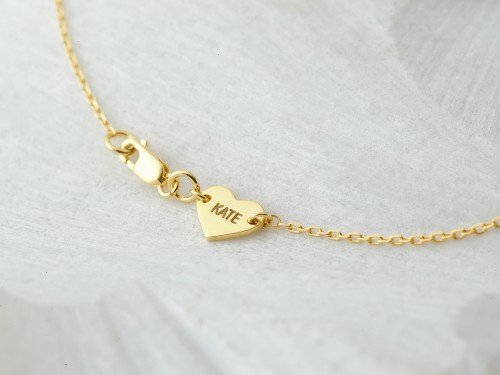 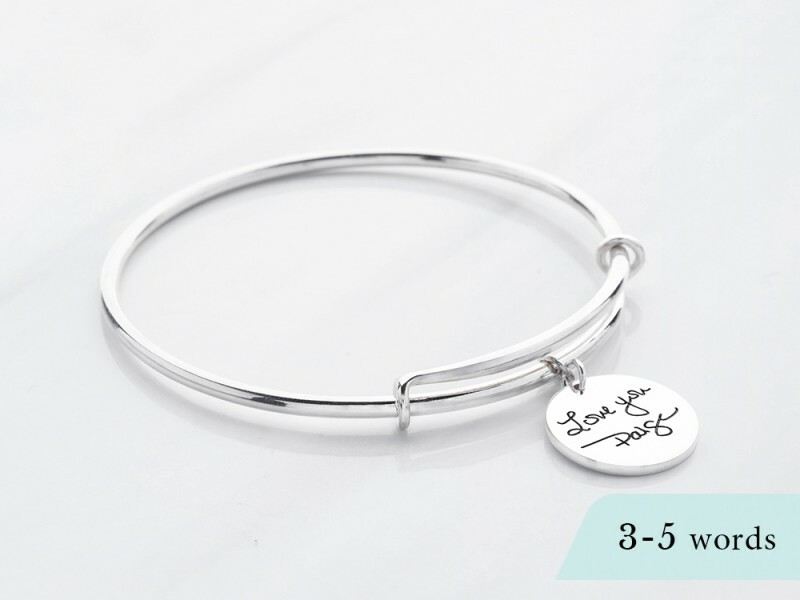 "We take the expandable bracelet popularized by Alex and Ani one step further with this personalized handwriting charm bracelet. 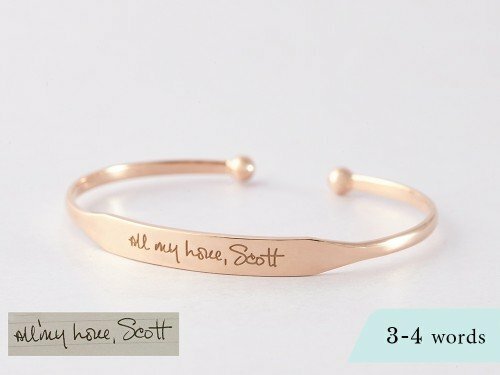 This expandable bangle comes with a charm that is engraved with photo of actual handwriting from any note. 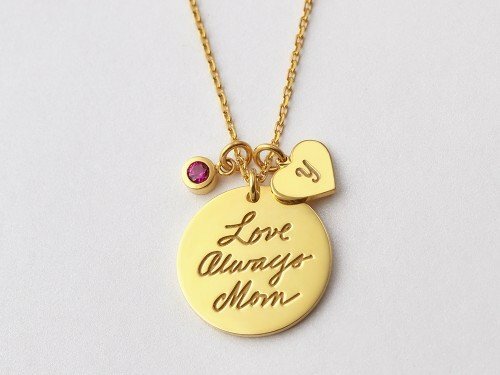 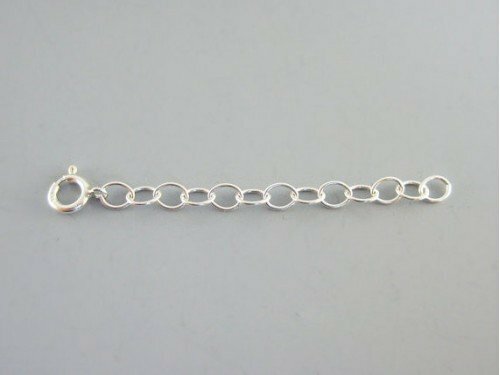 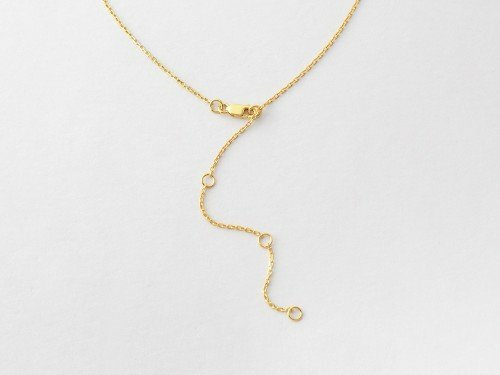 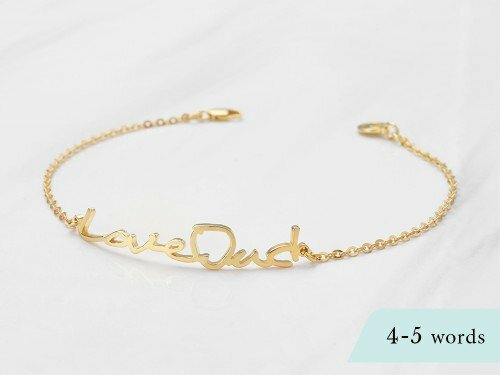 - The bracelet is engravable on either side, or both. 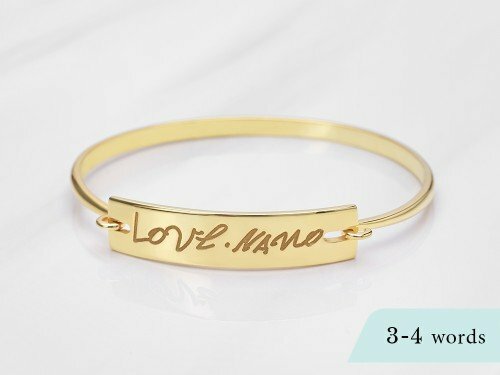 Word limits: 3-5 words per side.